the 8th Annual Halloween Fair is back and we've expanded to include more readers & vendors! 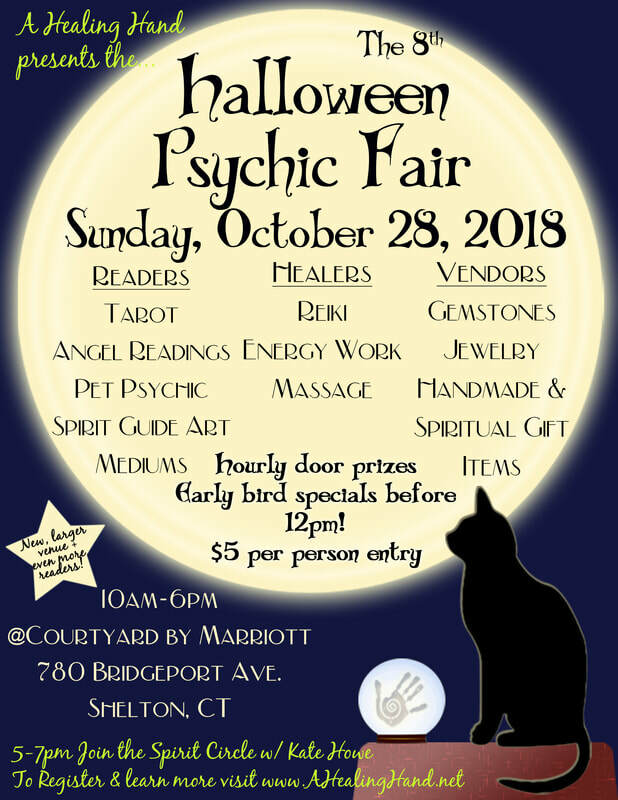 a variety of vendors, and workshops! Come before noon for an early bird gift! Looking for unique metaphysical gift? Join medium Kate Howe from 5-7pm for a gallery style spirit circle! Can I be a reader?